Peggy Anita…I woke up at 1: 39am Sunday July 3 , bathed, went on my knees and prayed to God. Whiles praying I ask myself, Peggy is gone, who is the next person? I don’t pay my tithe regularly because I have not been going to church due to formal education or work. Should this be an excuse every Sunday? I reassured her and encouraged her to accept the posting, but she emphasized that she is so weak and wants to give birth before she starts work. She was asked to go to Volta Regional Health directorate with the husband, along with medical history of her pregnancy so that her financial clearance would be secured to prevent it from expiring. 4 days before the accident she called that she will be going to the region with the medical report within the week and she would get me the feedback. If the posting was train and retain, would Peggy be going to Volta region with her 8 months pregnancy for release and reposting? If the Regional Director would have released her for reposting, would she be alive with the 8 months pregnancy? If there was secured accommodation and arrangement for her to give birth before starting work while her financial clearance is covered, would this have happened? The spoilt vehicle that was killing humans was still on the road 24 hours after Peggy’s death, I doubt if it has Been towed as at now. Was this accident not a preventable one? Are the road safety team indeed working? This is not the first accident that newly posted nurse or midwife is involved. 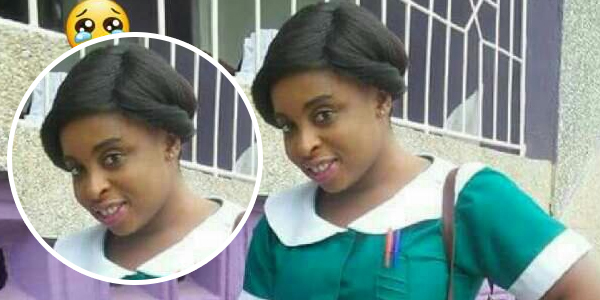 Some nurses who were trained and posted to Northern part of Ghana also had a road accident. By God’s grace they are alive now. Poor staff nurses strength in some region. Let’s admit that this problem identification is accurate disregard to the fact that Greater Accra and Ashanti Region have much population, hence much patients will be recorded. Shaking my head. Is this to ensure Nationalism or to boost the staff strength in the remaining 8 regions, especially the 3 Northern Regions? *NB* these newly recruited had MOH admission brochure mandating them to serve in the region that trained them after school. Our ancestors and previous governments were not that unwise to implement this train and retain. This policy ensures that you work in the region in which you were trained. We are in a system that a nurse can work for more than 2 years without salaries and would still be expected to work without any allowances. We are in a system whereby nurses are not given accommodation to reside at almost all the stations, yet expected to report to work early and provide essential services. Why not treating them as essential service providers? Newly posted nurses are sent to stations far from the region that trained them. How do they get accommodation ? How would they eat ? Accommodation and allowances are nicely decorated on papers but are not implemented. Hence , this train and retain policy reduces the stress on the nurses. Some stay with their family and go to work till their back pay comes for them to rents an apartment. Their families leave them some of the family meal to survive on till their salary payment begins. 1. The Government/MOH Institutions Secretariat/NMC/NAB and other stakeholders must halt the mushrooming of nursing schools (especially the private) in the regions that have much of nursing colleges (Greater Accra region and Ashanti region). Expanding, renovating of and supplying enough educational or learning /practical materials to the nursing schools in these 2 regions is the best way to go. 2. More nursing schools should be opened in the regions that have poor staff strength, especially the 3 northern regions. As at 2012, nursing training colleges in these 3 northern were less that 6. About 85% were Health Assistant Schools and Community Nursing Schools. In Volta region about 2 nursing colleges running diploma courses. I just pray and hope this is still not the situation in 2016. 3. People from other regions who are trained in different regions must be traced and posted to their regions to serve the good people there. 4. Incentives must be provided to nurses who serve in these regions with poor staff strength. 5. Politicians must stop promising chiefs of nursing schools. The nursing academy must be regulated independently in reality and not just on paper. I am not wise that you the policy makers but this is the little knowledge I want you to capture and implement. The system is not favourable for National Posting, the policy is premature. This policy just started in 2015/2016. It allows nurses to be posted nationwide disregard to where you were trained and language/communication barrier. *NB* Authorities always give excuse that nurses are many, hence is not doable, but they forget that because we are many we contribute much to the Internally Generated Funds that is used to manage the hospitals. Hence they have no excuse to deny us of any incentives base on such reason. Peggy Anita, May your soul and the soul of the 8 months fetus Rest in Perfect Peace.